Strengthening The Weak Link: Kaspersky Lab Improves Security Awareness With New Automated Training Platform. Foregenix And Tranwall Partner To Tackle Global ATM Cashout Fraud In The Banking Industry. Planning For Business Growth? 3 Reasons To Get Cyber Savvy. Security Correspondent Frank Gardner OBE And Counter Terrorism Expert Dave Sloggett To Deliver IFSEC International 2019 Keynotes. Future Proofing Cybersecurity – Securing Against An Arsenal Of New Technology. Attacks On Internet’s “Weakest Link” Continue Unabated. Nyotron Research Finds Decades-Old Malware Can Still Slip Past Today’s Antivirus Solutions. Home Phishing Mimecast Report Reveals Phishing Attacks With Malicious URLs Up 126 Percent. Mimecast Report Reveals Phishing Attacks With Malicious URLs Up 126 Percent. Mimecast Limited (NASDAQ: MIME), a leading email and data security company, today announced the latest Email Security Risk Assessment (ESRA) report, an aggregated analysis of tests that measure the efficacy of widely used email security systems. This quarter’s report found that email delivered with malicious URLs, a recently added part of the testing, has increased by more than 125 percent in comparison to last quarter’s results. 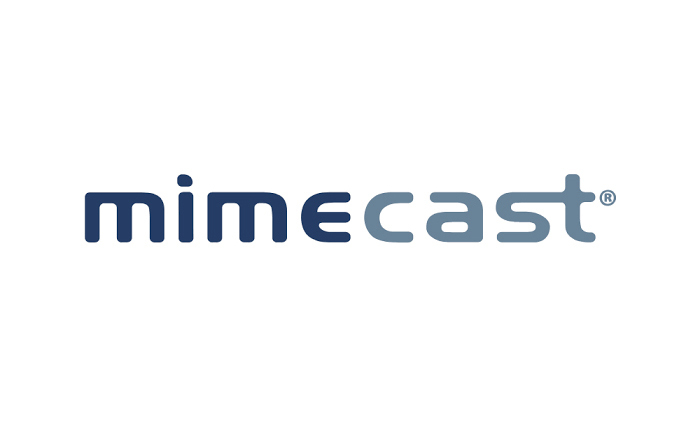 The data was analyzed and, as in past periods, Mimecast was found to deliver superior efficacy. New to the ESRA report, was testing for malicious URLs. Mimecast detected 463,546 malicious URLs contained in the 28,407,664 emails delivered were deemed “safe” by an organization’s existing email security system, averaging to one malicious URL in every 61 emails. Recent research Mimecast conducted with Vanson Bourne independently also confirms that malicious URLs are a rampant problem, with 45 percent of the 1,025 respondents saying the volume of these URL-based attacks or those with dangerous attachments have increased over the last year. Despite the fact that the majority of cyberattacks start with an email, the lines between email and web security are blurring. In addition to malicious URLs, the latest ESRA report also found 24,908,891 spam emails, 26,713 malware attachments, 53,753 impersonation attacks, and 23,872 dangerous file types of the 232,010,981 total emails inspected were all missed by these incumbent security solution providers and delivered to inboxes, putting individuals and organizations at risk. Impersonation fraud also continues to grow and present challenges. The new research from Mimecast and Vanson Bourne revealed that 41 percent of respondents reported seeing an increase in impersonation fraud from vendors or business partners asking for money, sensitive information or credentials – with 38 percent saying they’ve seen an increase of impersonation fraud from well-known internet brands. After two years of reporting data, the Mimecast quarterly ESRA reports continue to provide industry trends based on reinspection of participating organizations’ emails that were previously deemed safe by their current email security systems. Deep Secure Launches Content Threat Removal-As-A-Service To Defeat 100% Of Content Threats. Taking Action To Bring Balance On International Women’s Day. Threat Spotlight: Barracuda Study Finds 1 In 10 Spear Phishing Emails Are Sextortion. Aquilai Launches Ajax Intelligence Phishing Solution. Phishing Email Alert: Apple Pay Impersonated In Sophisticated Attack. CommBank Brandjacked In Phishing Email Scam. Extortion phishing! Wide Ranging Email Attacks Landing In Aussie Inboxes. Global Survey Reveals Coming Shift In Cyber Security Priorities. Half Of Europeans Unaware What Their (Stolen) Personal Data Is Worth. Lessons For NHS Following US Healthcare Providers’ Low Resilience To Cyber-Attack, Warns Report. Phishing And Facebook – A Test Of Reputation. New Vulnerabilities In Verizon Routers Expose Millions Of Consumers, According To Tenable Research. SneakyPastes: Basic But Effective Operation By Gaza Cybergang Hits Middle East Related Targets In 39 Countries. Trend Micro Releases Innovations That Increase Security For Google Cloud Platform, Kubernetes And G Suite Gmail. GlobalPlatform Device Security Workshop Comes To Washington DC. 2019 Global Threat Intelligence Report: Finance Returns To Top Spot As Most Attacked Sector In EMEA. Cyber Security Firm Continues Asia Pacific Expansion With Singapore Move. Atos And Google Cloud Inaugurate Unique Artificial Intelligence Lab In France. Cyberattacks Becoming More Costly And Focused, UK Government Figures Show. Incident Response Takes Centre Stage At Infosecurity Europe 2019 With Keynote Speakers From Maersk And UK Law Enforcement. Web Security Expert Troy Hunt To Be Welcomed Into The Infosecurity Hall Of Fame. Securing Crypto Assets On The Blockchain. Arcturus Becomes CHECK Accredited After Just One Year. Poor Or Non-Existent Cloud Security Placing One In Five Businesses At Risk. 79% Of European Organisations Would Like To Know Who Is Behind A Cyberattack Which Affected Them. Why IP EXPO Manchester 2019 Is Not To Be Missed. European MSPs Could Lose SMB Clients Over Cybersecurity: Vanson Bourne Report. The Value Of Cyber Security Awareness. nCipher: New Digital Initiatives, IoT And Cloud Adoption Driving The Use Of Trusted Cryptography Revealed By 2019 Global Encryption Trends Study. Armour Comms Launches Armour Mobile v3.0 At Cyber UK And Demonstrates Full Secure Chorus Interoperability To Live Audience. Complacency In Supply Chain Cyber Security – A Hidden Threat To SMEs. Cost To UK Economy Of DDoS Cyber-Attacks May Exceed £1B Per Annum. Lack Of Skills Is Leading Cause Of The Information Security ‘Talent Gap’, According To Latest Infosecurity Europe Poll. GlobalPlatform And The Trusted Platform Association Collaborate On Trusted IoT. Threat Intelligence Group Completes Global Expansion. Over Half Of European Organisations Have Suffered Consequences Caused By At Least One Cyberattack In The Last Two Years. IoT And DDoS Attacks: A Match Made In Heaven. Neustar Named A Leader In IDC MarketScape Worldwide DDoS Prevention Report. The Biometric Smart Card: Connecting The Digitally Excluded. Proofpoint Research Reveals 65% Increase In Cloud Application Attacks In Q1 2019; 40% Of Attacks Originating From Nigeria. 99% Of SMEs Do Not Have Sufficient Skills To Prevent Cyberattacks. 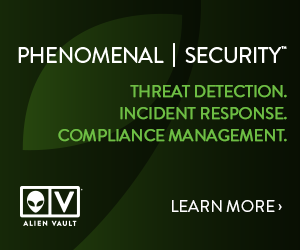 New Kaspersky Endpoint Security For Business Provides Security Teams With Greater Control And Automatic Anomaly Detection. Cyberfort Group Acquires Defensive Cyber Specialist Auriga Consulting. Things To Know Before Developing Intelligence Requirements. Over 80 Percent Of UK Consumers Believe Facebook Should Be Regulated. Alert Logic Extends Attack Surface Coverage For Endpoint, Multi-Cloud, And Dark Web. Malware And Malicious Insiders Accounted For One-Third Of All Cybercrime Costs Last Year, According To Report From Accenture And Ponemon Institute.